Last Friday the Slovak Republic took over the Presidency of the Council of the EU from the Netherlands, and is now the sixth Presidency in a row to work on the organic dossier. The International Conference on Organic Agriculture Sciences (ICOAS) will take place in Bratislava, Slovakia from 14 -17 October 2015. 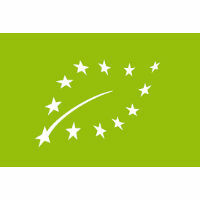 In the past few years, the organic sector has been gaining ground in Slovenia. Organics are getting more and more popular in Slovenia. The organic market in Slovenia is quite young. Organic farming in Slovenia is growing but poor level of sales of organic products. In 2004, there were 27 processors registered in the organic inspection system. Organic food processing /manufacturing started to develop only a few years ago in Slovenia. Both domestic and imported organic products are offered in Slovenian shops and local production, as well as imports, have been increasing constantly.